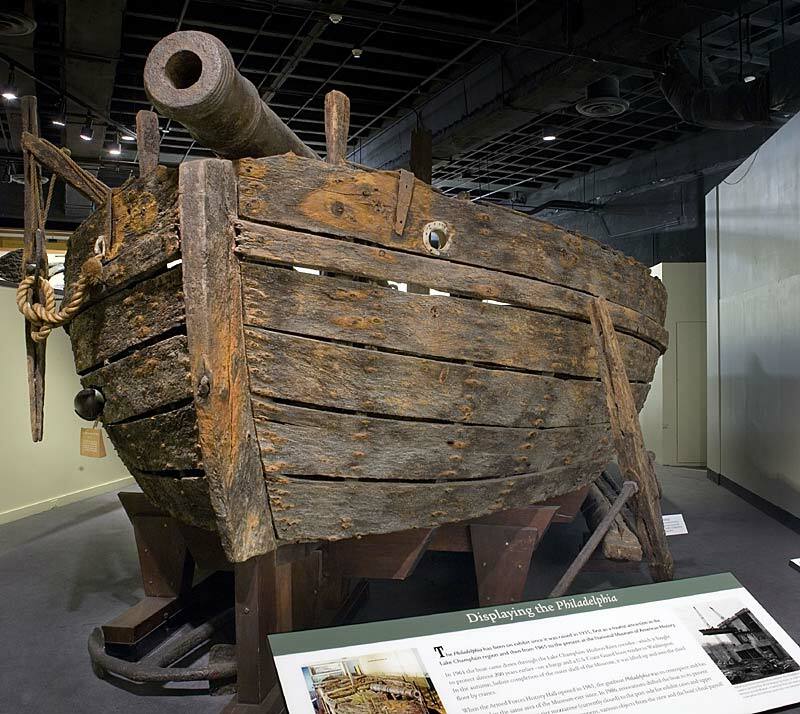 The Gunboat Philadelphia exhibition has been reinterpreted and updated to include its recovery in 1935, a history of its display at Lake Champlain as well as early preservation and acquisition by the museum. 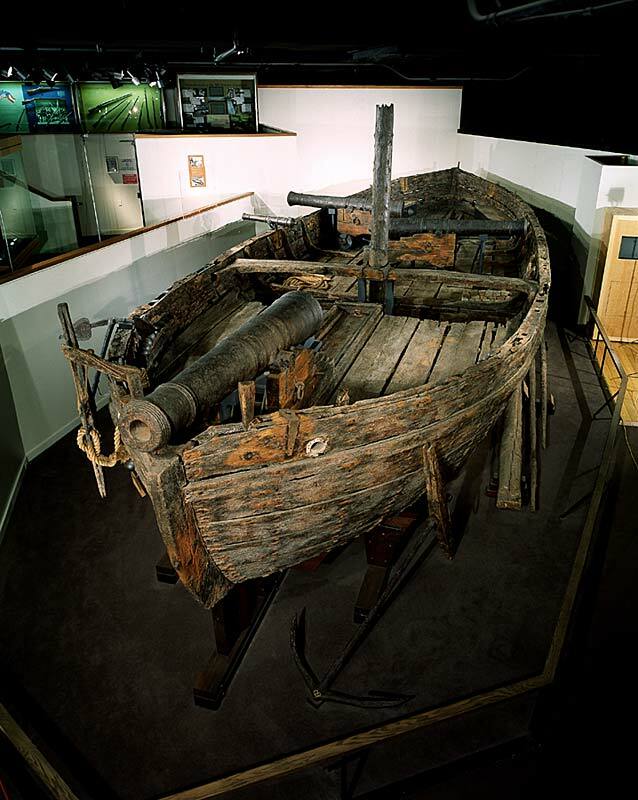 This exhibition includes historical video footage of the raising of the Philadelphia from Lake Champlain accompanied by an interpretive cart that provides hands-on experience with preservation needs. Painted scrims provide the visitor with a simulated visual sense of the “underwater” space of the Philadelphia. New cases will display artifacts that were recovered with the gunboat as well as the crew payroll. In October 1776, American troops in a ragtag collection of newly built boats faced an advancing line of British ships on Lake Champlain in New York. The Americans, under the command of Benedict Arnold, were forced to retreat, but not before they fought the British to a standstill. One of the American vessels, the Philadelphia, sank during the battle and rested on the bottom of the lake until 1935. It was recovered that year with much of its equipment intact and came to the Museum in 1964, complete with the 24-pound ball that sent the gunboat to the bottom. Learn more about the Philadelphia. A tour of the gunboat is available at the Smithsonian X 3D website. If you are having difficulty viewing the 3D model, please see the browser requirements.